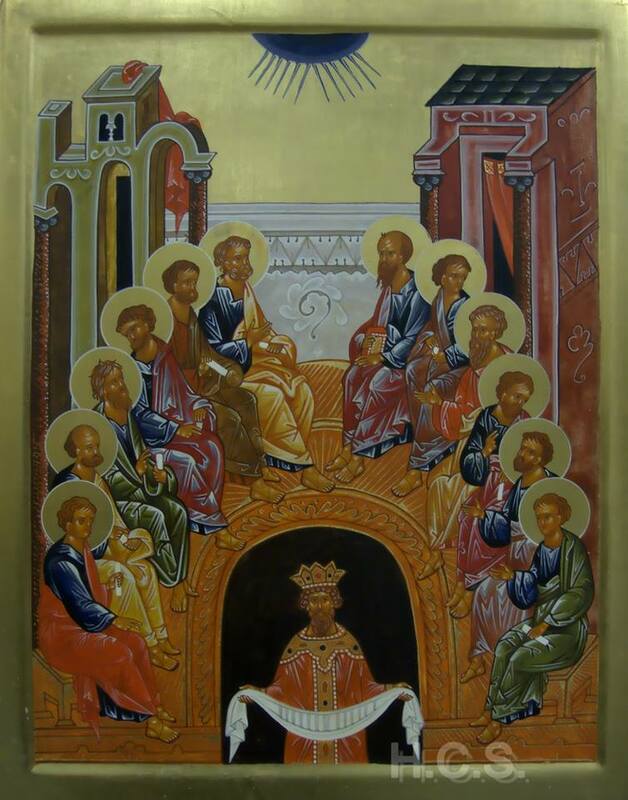 This past Sunday marked the Great Feast of Holy Pentecost, the descent and outpouring of the Holy Spirit upon the Apostles and the believers with them, as recounted in Acts 2. Father Matthew presided at the Matins Service and the Divine Liturgy, and Father Richard gave the sermon. As is the custom in the Orthodox Church, many of the faithful brought greenery to adorn the temple, a testimony to the new life that only the Holy Spirit can bring. Matins service of Pentecost, Holy Apostles Mission Station, Chilliwack, BC, May 31, 2015. Fr. Matthew proclaims the Gospel during the Divine Liturgy of Pentecost, Holy Apostles Mission Station, Chilliwack, BC, May 31, 2015. Fr. Richard preaching during the Divine Liturgy of Pentecost, Holy Apostles Mission Station, Chilliwack, BC, May 31, 2015. Great Entrance during the Divine Liturgy of Pentecost, Holy Apostles Mission Station, Chilliwack, BC, May 31, 2015.